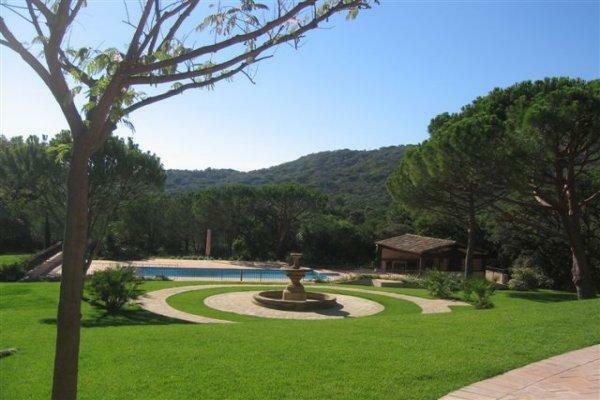 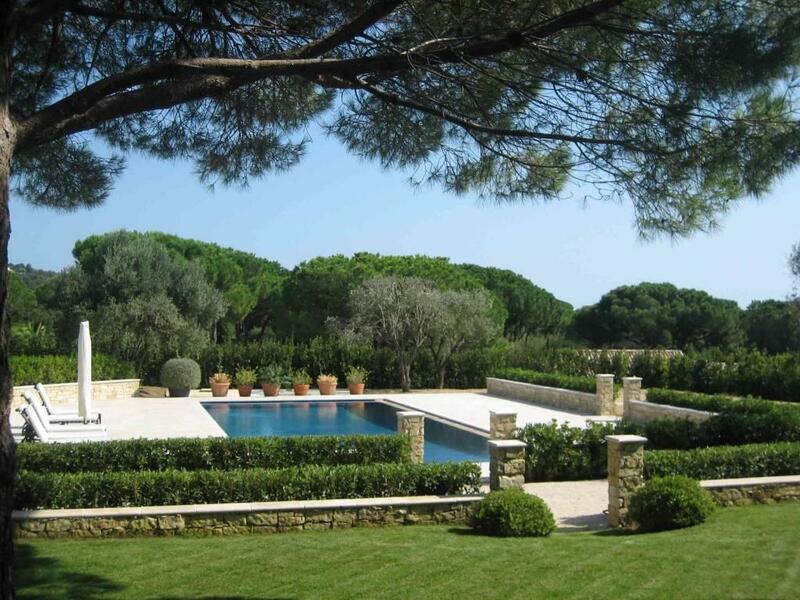 This newly built villa is situated on a hillside between St Tropez and Ramatuelle, close to Pampelonne beach. 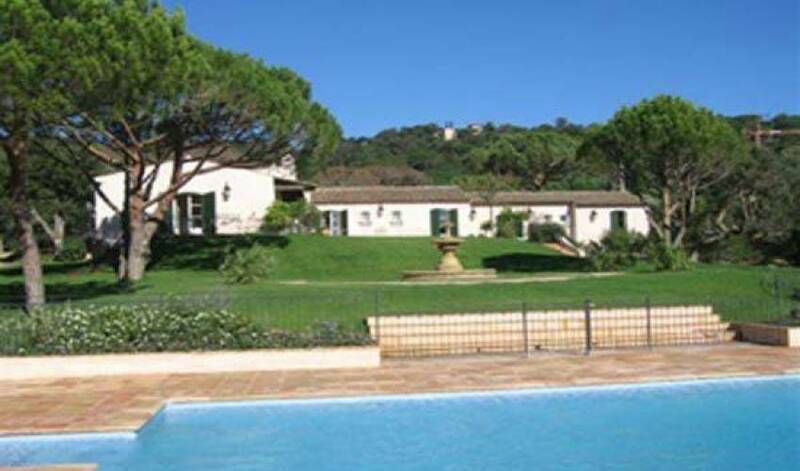 The living room has French windows opening onto a very large partially covered terrace, with views onto the garden, fountain and swimming pool. 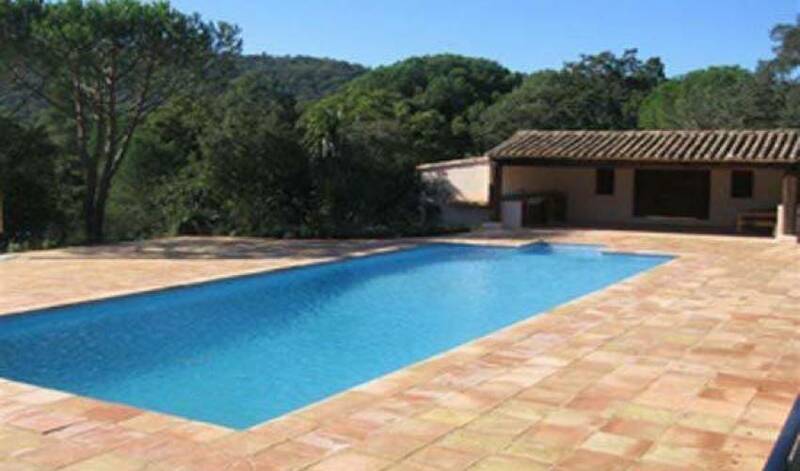 The swimming pool, which can be heated, is completely fenced and there is a pool house with a barbecue. 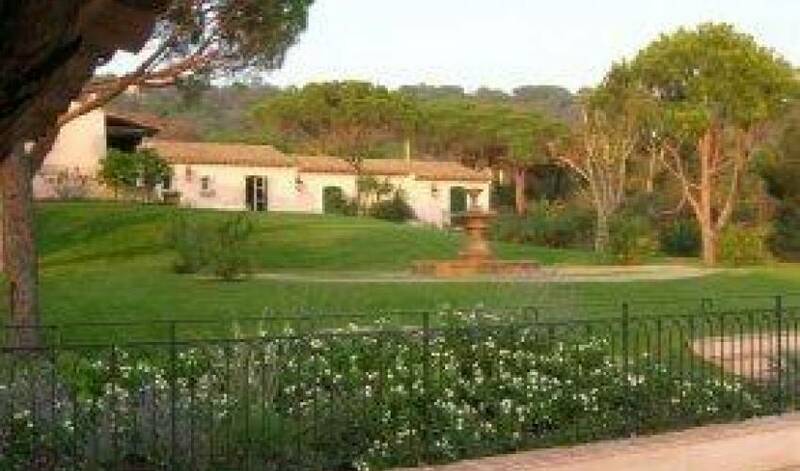 This very quiet and peaceful property offers lots of comfort, with air-conditioning, high speed internet access, fax, en-suite facilities in each bedrooms and a tennis court. 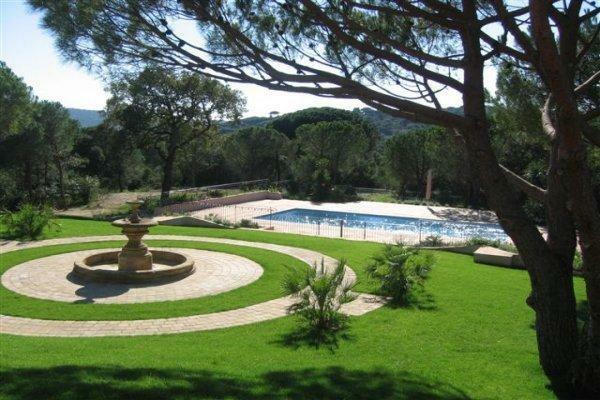 This is certainly an ideal villa for a large family or group of friends. 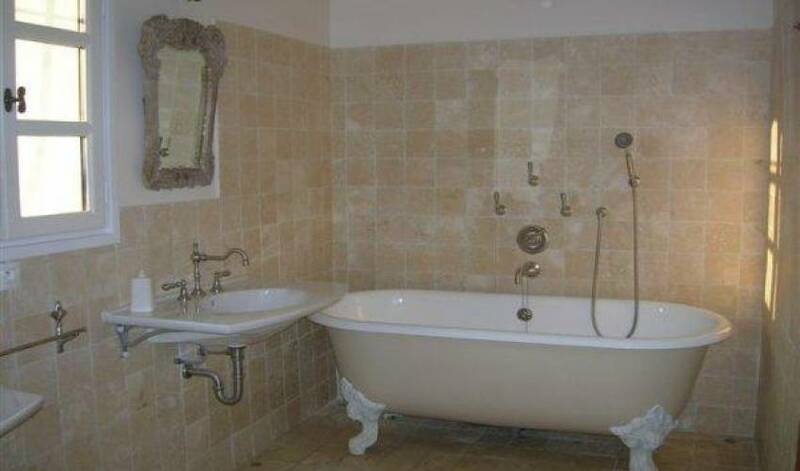 Entrance hall leading to the living room with fireplace and wide-screen TV with Satellite and DVD - Fully equipped kitchen and dining area - 2 double bedrooms with en-suite shower rooms - 3 double bedrooms with en-suite bathrooms - Master bedroom with en-suite bath and shower room, opening onto a balcony at the back and a private terrace at the side. 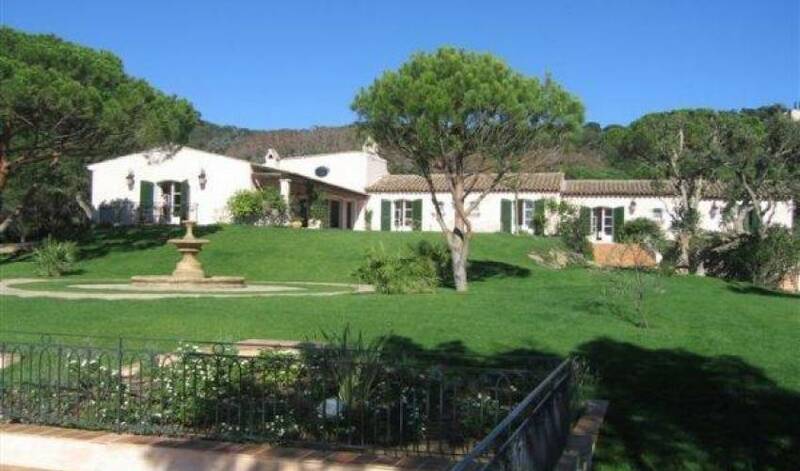 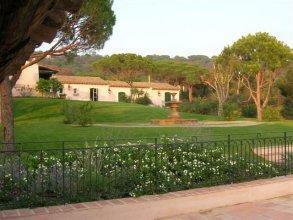 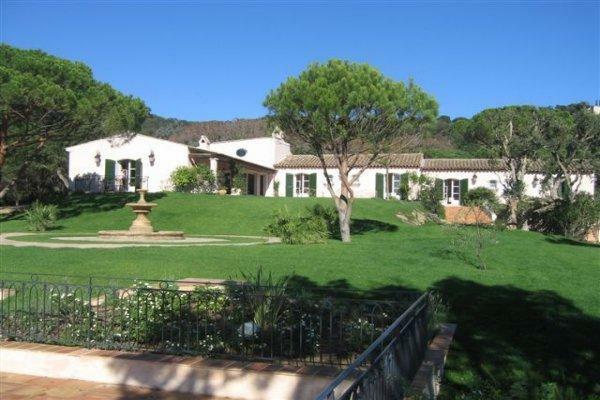 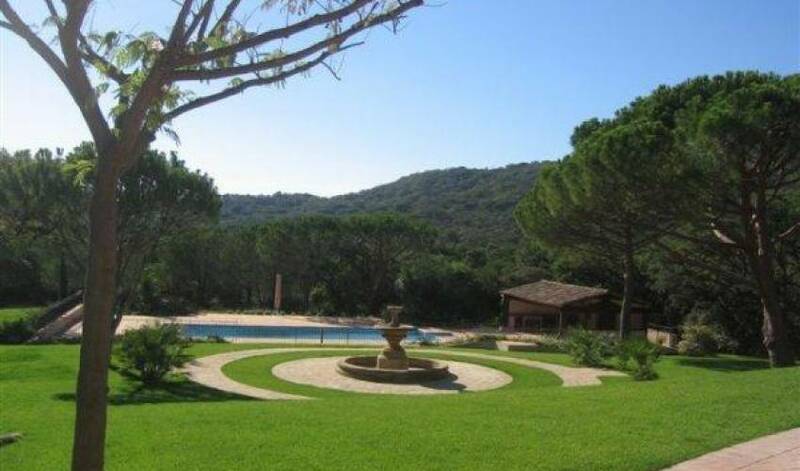 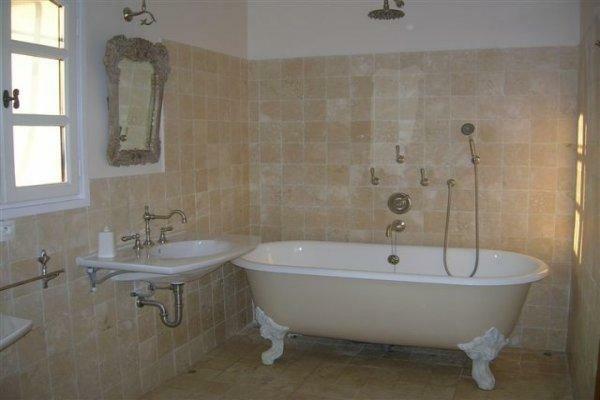 Nearest village - St Tropez 10 min. 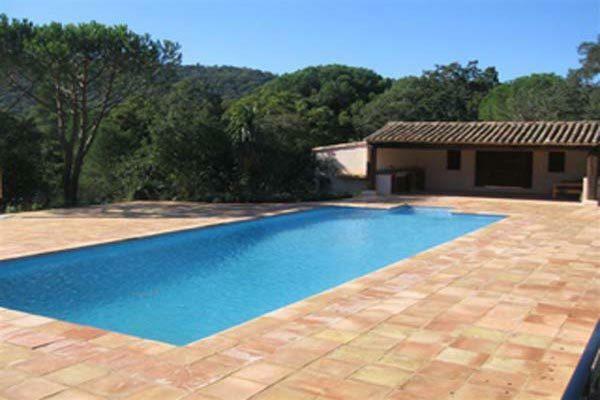 Nearest airport - Toulon/Hyères 50 min. 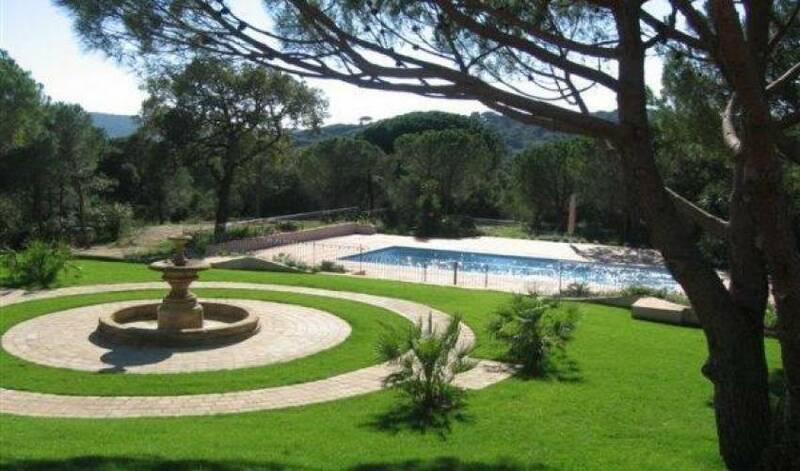 / Nice 90 min.